We’ve put spoilers in the title of this article twice. If you have gotten this far, you are about to get a bit of news about Avengers 4 that just leaked online. We already know that the upcoming sequel to Avengers: Infinity War is allegedly going to be set five years after the events of the last movie. We also know that most of the team has been turned to dust. 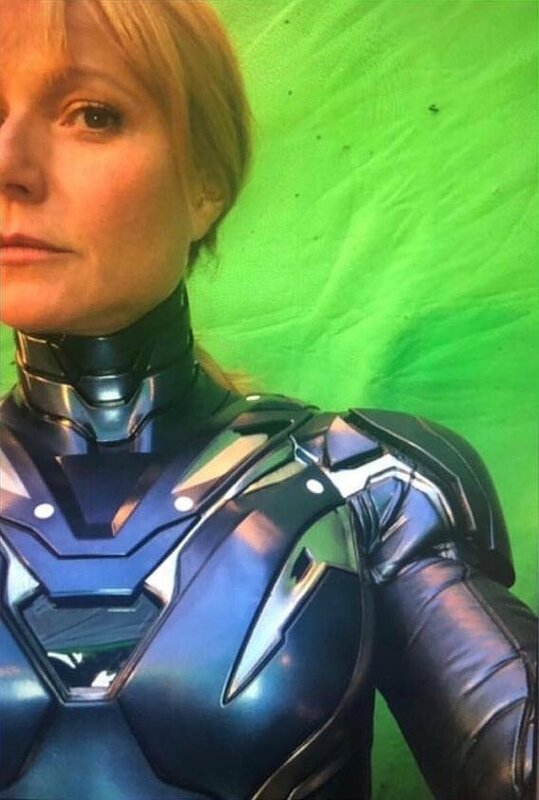 Now, a leaked photo seems to show that one character will be getting a chance to suit up and join the squad. Scroll down to see who, just in case some doofus is still worried about seeing a spoiler. We’re talking about Gwyneth Paltrow’s Pepper Pots. We don’t know where this pic came from, but it looks like a selfie that the actress may have taken of herself on set. As you can see from the photo, the image features her in her purple and silver armor that she’s used in the comics under the codename: Rescue. Does this mean that Pepper has stepped in as the new Iron ‘person’ in the absence of Tony Stark, who is currently across the galaxy? Perhaps he’s returned and she is now fighting alongside the Avengers? there’s a good chance that we’ll get our first peek next month when the trailer is allegedly set to drop. One way or another, we’ll know the score when Avengers 4 hits theaters in May.